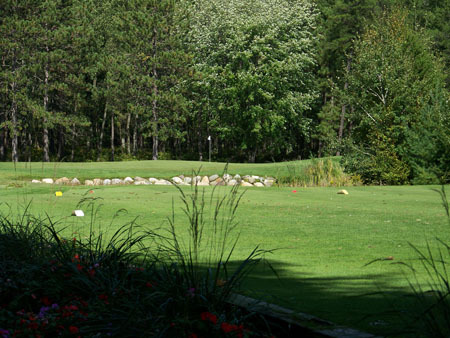 Located just 4 ½ miles north of AuGres on US-23, Huron Breeze Golf Club will entertain you with a skillful design that incorporates pine and hardwood flanked fairways, strategic bunkering, and large duck ponds. You will find the generous landing areas and variety of tee areas will allow you to challenge yourself as much as you would like. Regardless of your skill level, you will enjoy the secluded feeling and blend of nature on each hole that make this a truly enjoyable golf experience. The Breezeway Restaurant is in a scenic setting overlooking the golf course and a large duck pond. The atmosphere for the dining room has been described as “casual elegance”, also fitting the menu offerings that have made Huron Breeze “the place to dine”. Meetings, banquets and wedding facility also available.